We want to pass on to anyone who is thinking of hiring Kelsey and his team at Pacific Group Developments, you really can't go wrong. We ran into serious septic system issues and quite honestly we were rescued! Kelsey and his team took on the huge task almost immediately. 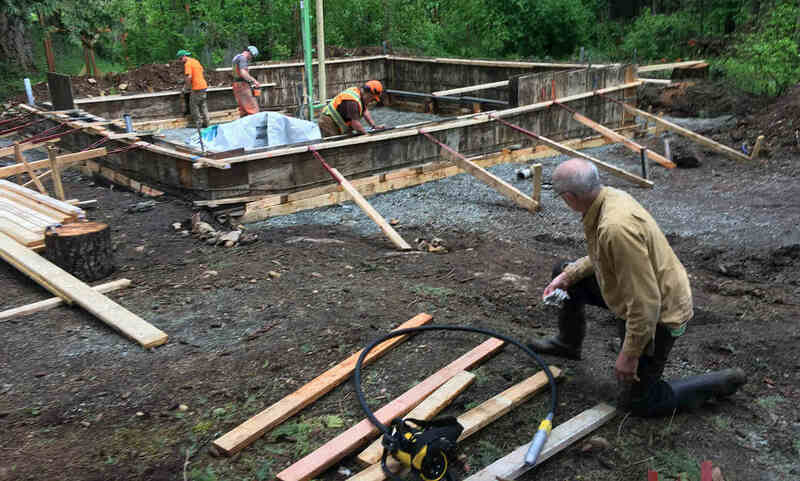 This meant a new septic system which included logging and subsequent landscaping , with confidence that gave us peace of mind. Any and all questions where addressed with much patience and answered until we completely understood. We were very much included in the whole process no matter how small of detail. Due to the issues we had with our situation, Kelsey was able to give us a solution that we felt had come from sound and long term experience. We now have a perfectly operating septic field that is up to code, very easy to maintain and most importantly registered with the correct authorities. We know that we can call Kelsey at any time no matter what the questions may be and he will have the patience and knowledge to address them.